Thanks to my co-worker, Anthony Archie, I recently found out that children in Tulsa who are rescued from sexual assault or domestic violence situations are given teddy bears by EMTs, the hospital staff, or DVIS, in order to help them feel a glimmer of comfort and hope in the aftermath of such a traumatic experience. One representative from DVIS has said that not many churches help out in this area. Maybe it’s a taboo subject? Those reasons notwithstanding, at the KirkYouth Night of Impact we believe in worship, justice, and love. So we’re stepping in. 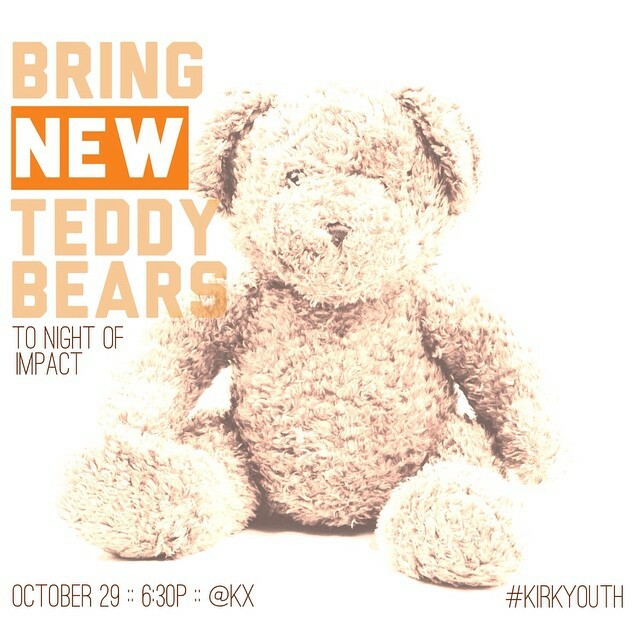 At 6:30pm on October 29 we will gather at Kirk Crossing for worship and will be collecting hundreds of new teddy bears to donate on the spot to a representative of DVIS. 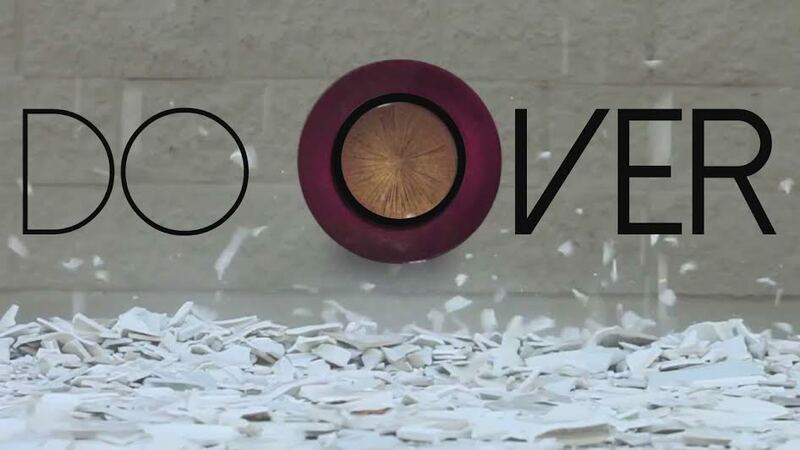 Night of Impact is open to any student (6th grade through college). And if you want to help us, please consider making a monetary donation to the KirkYouth department or drop off a new teddy bear at 4102 E 61st St, Tulsa, OK 74136. And be in prayer that sexual assault and domestic violence would cease in my city so they don’t even have to give these bears away! But until that happens, let’s pray that these sweet kids that get a bear from KirkYouth know the love and the redemption of Jesus. 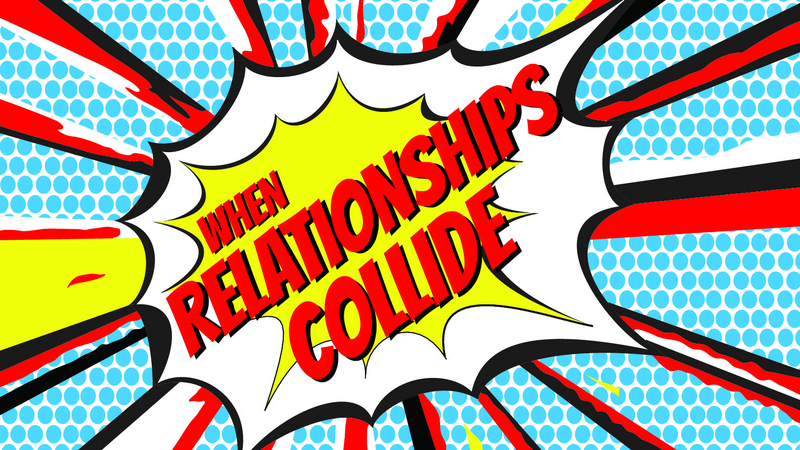 Summer is almost here and that means the KirkYouth Mid-High and Sr. High will be combining on Sunday mornings! 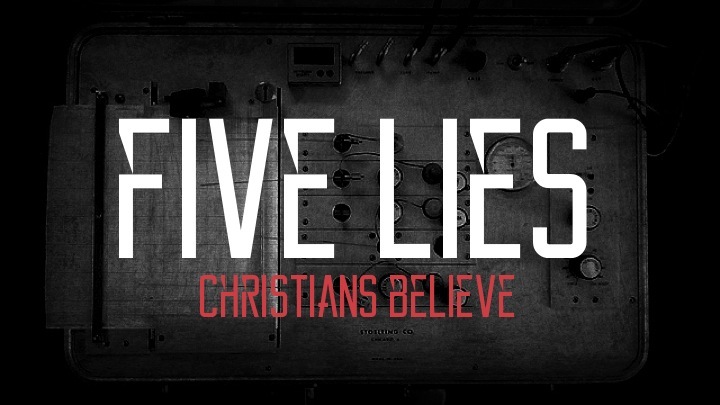 To kick off the summer, we’re doing a series called “Five Lies Christians Believe.” So if you want to understand your faith better, or you want to find if you believe a lie and don’t even know it, this series gets started June 1. So snag the graphic above and start sharing it on all your social media. We’ll see you at the summertime gathering!